Cut out the wing, horizontal stabilizer and rudder templates and trace on the flat part of the foam plate and cut out the parts. 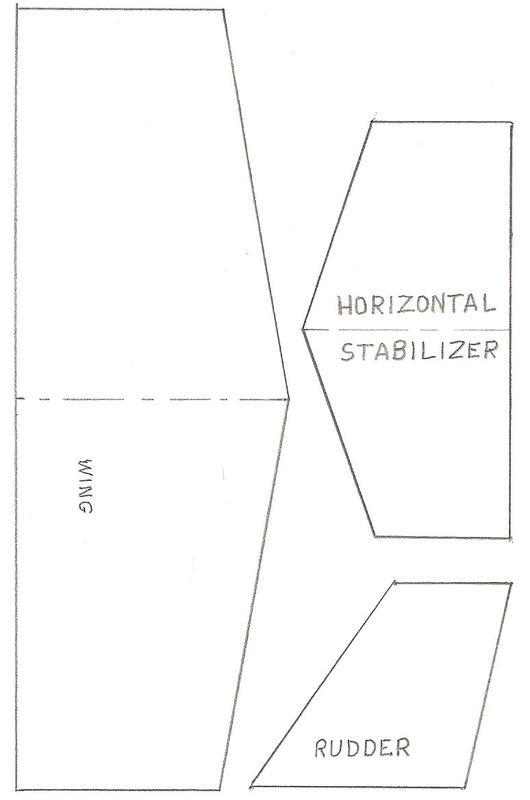 Measure and mark center lines on the wing and stabilizer. 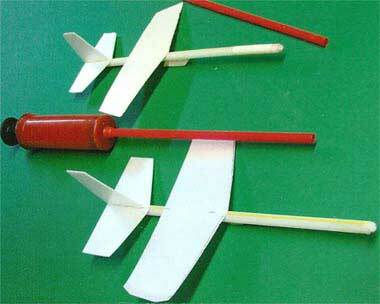 Glue the stabilizer on top of the straw starting at the back and the back of the wing 1 1/2 inches forward. Always put the glue on the foam so the straw is not warped by the heat. Assemble quickly and accurately. Glue the rudder on top of the stabilizer and in line with straw. Roll up a small piece of foam and glue it into the front of the straw. Be sure it is airtight by blowing into the other end. The sirplane should balance about 1/2 to 3/4 inch behind the front of the wing. Add glue or tape around the front to balance. Glue a small piece of foam to the bottom of the straw for hand or rubber band launching. Insert the small straw into the airplane and blow to launch. A balloon pump with a straw taped to the end may also be used to launch. If the airplane dives, bend the back of the stabilizer up. If it climbs or loops too much, bend down slightly. If it rolls left bend the back of the rudder right. If it rolls right, bend left. Try launching in a left bank, a right bank and level to find the best way to launch. Have fun and keep experimenting.